This magnetic map has many uses and can be hung easily on the wall and rolled up when not in use. 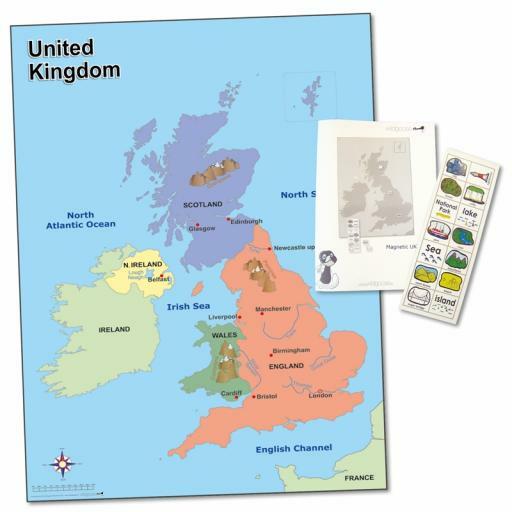 When used in conjunction with the relevant magnet pack, it can be used to teach about the weather, geographical features and the location of various cities in the UK. 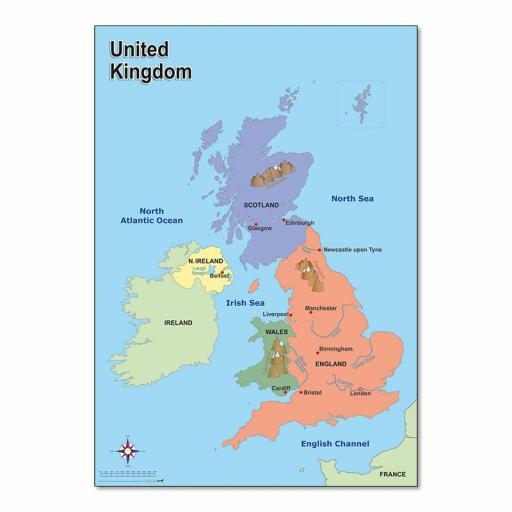 Use it as a front-of-class teaching aid or for small group work. 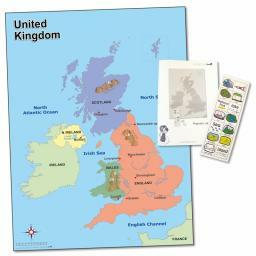 Supplied with an A4 blank magnetic sheet to create your own magnets with marker pens, and 14 geographical magnets (includes lighthouse, cliffs, mountains, lakes, islands, ports, beaches, major bridges, river, forest, sand dunes, cities, sea and national park magnets). Teachers' notes also included.